Brittany is a Colorado Native who practices an individualized and holistic approach to health and wellness. She works with clients to develop a deeper understanding of the interconnectedness of mind, body, and spirit to help implement sustainable and lifelong practices. 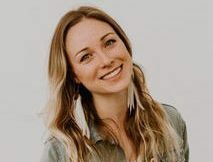 She received her degree in Health and Exercise Science from Colorado State University, is a graduate of the Institute for Integrative Nutrition, is 200 hour Yoga Certified, and is a Certified Personal Trainer who believes that optimal health comes as a result of self-love, understanding, and a desire to seek change. During health coaching sessions, she works with clients to look at what nourishes us on and off of the plate. Together, you will address nutrition, physical activity, relationships, career, spirituality, and lifestyle to identify any imbalances and to create actionable, and individualized steps that cultivate positive health changes. Brittany is passionate about living a life of maximal vitality and strives to mentor, motivate, support, and keep each of her clients accountable for their health and wellbeing.